Alexander Mehler is professor (W3) for Computational Humanities / Text Technology at the Goethe University Frankfurt am Main, where he heads the Text Technology Lab as part of the Institute of Informatics. Beyond that, he is member of the executive committee of the LOEWE Priority Program Digital Humanities at the Goethe University. Alexander Mehler studied Information Science and Slavic Studies at the University of Regensburg as well as Computational Linguistics and Economics / Information Systems at Trier University where he graduated in computational linguistics in 1995. From 1994 to 1998 he was project leader and head of the research and development department of the Gesellschaft für Wirtschaftsberatung und Informatik (GWI). In November 2000 he got his PhD in computational linguistics. His thesis Text Meaning – procedural analysis and representation of structural similarities of texts was awarded a prize by the Circle of Friends of Trier University (incorporated society) in 2001. From 1998 to 2001 he worked as a scientific assistant (AT) and from 2001 to 2004 as a scientific assistant (C1) in the Department of Computational Linguistics at Trier University. In winter term 2003/2004 and 2004/2005 he was visiting professor at Karl-Franzens-University Graz, Austria. From April 2004 to August 2008 he was assistant professor (Juniorprofessor) for Text Technology at Bielefeld University. Since September 2008, Alexander Mehler has been the head of the competence center Computing in the Humanities at Goethe University. In 2009, Alexander Mehler got a call by the Faculty of Technology of the University of Bielefeld to a professorship (W2) in Text Technology/Applied Computational Linguistic, which he accepted in July 2009. In March 2010, he got a call by the Goethe-University Frankfurt am Main to a professorship (W2) in Text Technology/Applied Computational Linguistic, Institute for Informatics, which he accepted in Mai 2010. In 2009, Alexander Mehler got a call by the TU Chemnitz to a professorship (W3) in Technical Communication, and in 2013, a call by the University of Leipzig to a professorship (W3) in Computational Humanities, Institute for Informatics. Alexander Mehler is member of several scientific associations. He belongs to the executive committee of the German Society for Computational Linguistics & Language Technology where he currently heads the research group Quantitative Corpus Linguistics and is a member of the consulting board. Alexander Mehler was head of the research group Computational Semiotics of the Deutsche Gesellschaft für Semiotik. Further, he is a member of the Gesellschaft für Kognitionswissenschaft, of the Association for Computational Linguistics and of the Gesellschaft für Informatik. Since 2004, Alexander Mehler has been editor of the Journal for Language Technology and Computational Linguistics and reviewer of many scientific journals and book series in the field of computational linguistics. Since 2005, Alexander Mehler has been project leader of the DFG-funded research project Induction of Document Grammars for the Representation of Logical Hypertext Document Structures as part of the Research Group Text Technological Information Modeling (speaker: Prof. Dr. Dieter Metzing, Bielefeld University). Together with Prof. Dr. Gerhard Heyer (Leipzig University), Alexander Mehler acquired the DFG (Deutsche Forschungsgemeinschaft – German Research Foundation) funded research project Topic-Oriented Peer-to-Peer Agents in Digital Libraries. Further, since 2006 he has been project leader of the DFG-funded research project Multimodal Alignment Corpora: Statistical Modeling and Information Management as well as of the DFG-project Dialogue Games and Group Dynamics (together with Prof. Dr. Gerhard Jäger, Bielefeld University) as part of the Collaborative Research Center (CRC) 673 Alignment in Communication (speaker: Prof. Dr. Gert Rickheit, Bielefeld University). Since 2006, Alexander Mehler has been member of the executive committee of the CRC 673. Further, he organized and presented the linguistics part of the Excellence Cluster (EC) 277 Cognitive Interaction Technology (speaker: Prof. Dr. Helge Ritter, Bielefeld University) to the reviewers of the DFG. In the framework of this cluster of excellence, Alexander Mehler acquired the research project Knowledge Enhanced Embodied Cognitive Interaction Technologies (KnowCITs) together with Prof. Dr. Ipke Wachsmuth (Bielefeld University) in 2008. Beyond that, Alexander Mehler acquired (as the coordinator and principal investigator) the BMBF (Bundesministerium für Bildung und Forschung (BMBF) – Federal Ministry of Education and Research) joint research project Linguistic Networks – Text Technological Representation, Computational Linguistic Synthesis and Physical Modeling in the framework of the BMBF-Priority Research Program New Natural Scientific Methods and Technologies in the Humanities. Alexander Mehler acquired the DFG-research project Automatic Enrichment of OAI Metadata by Computational Linguistic Methods and Development of Services for the Topic-Related Networking of Repositories in the framework of the DFG-priority program Electronic Publications – Buildup and Networking of Repositories (in collaboration with Dr. Michael Höppner, University Library Bielefeld, and Prof. Dr. Gerhard Heyer, Leipzig University). 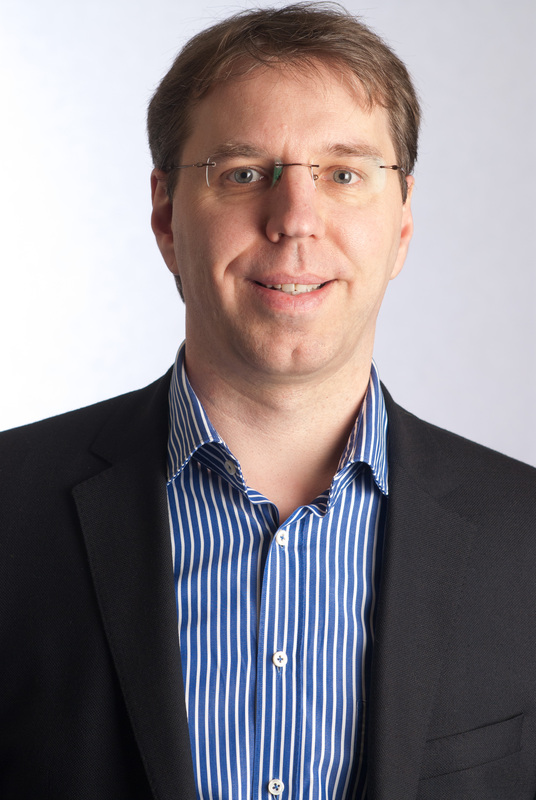 Further, Alexander Mehler contributed as a principal investigator to the acquisition of the LOEWE-center Digital Humanities (Speaker: Prof. Dr. Jost Gippert) where he belongs to the executive committee and represents the area of computational humanities. In this multidisciplinary research project, Alexander Mehler investigates and develops algorithms for the automatic analysis of historical documents. Recently, he acquired the BMBF-research project Historical Semantic Spaces as part of the BMBF-Priority Research Program Digital Humanities, in which he cooperates with historians (Prof. Dr. Bernhard Jussen) and philologists (Prof. Dr. Barbara Job, Bielefeld university; Prof. Dr. Peter Koch, Eberhard-Karls-Universität Tübingen; Prof. Dr. Maria Selig, Universität Regensburg) to explore the laws of social-semantic change. These research projects document the theoretical and practical research activities of Alexander Mehler. They range from text and web mining to alignment in communication, social ontologies and their utilization by means of cognitive interaction technologies. The common ground of this research is the computational integration of content and structure modeling of semiotic aggregates and their networking in terms of complex networks. Please see my current classes and seminars.